EtonHouse is headquartered in Singapore with more than 100 pre-schools and schools spreading across Singapore, China, India, Indonesia, Korea, Japan, Malaysia, Cambodia, Vietnam, Hong Kong, Myanmar, and Kazakhstan today. Together these schools provide high-quality international education to over 10,000 children across 61 different nationalities. 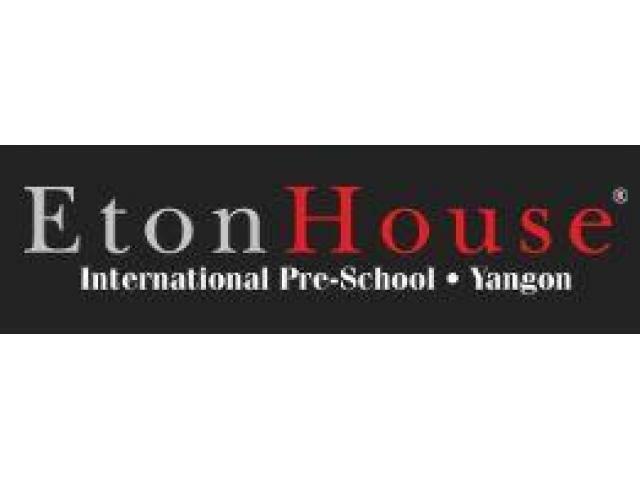 EtonHouse International Pre-School has commenced operations in Myanmar to cater to expatriate and resident families offering programmes from playgroup to kindergarten levels. EtonHouse fosters a love of learning and provides children with the skills they need to be adaptable and flexible in a rapidly changing world. In our schools, each child is respected, encouraged and supported by all staff. Parents are welcome in our schools and we highly value and encourage partnership between home and school. Over the decades, parents have valued and trusted the research-based EtonHouse pedagogy that has groomed outstanding kindergarten, primary and high school graduates. Offering an international inquiry-based programme delivered by highly qualified early childhood educators, EtonHouse campuses have thoughtfully considered and aesthetically designed learning environments where children develop into confident, competent, multilingual global citizens with a lifelong love for learning.